Time to stop everything we do and celebrate, for, our little community at chandoo.org had the most fantastic, awesome month ever. That is right. August 2010 has been the best month since I started chandoo.org. We have broken a majority of previous records in terms of conversations, connections, content and revenues. In August, we had 17 posts, with 604 comments. We had 178,000 visitors reading 453,000 pages. Our RSS subscriber base grew to 11,917 (it was 5738 an year ago). August has been the best month in-terms of revenues too. 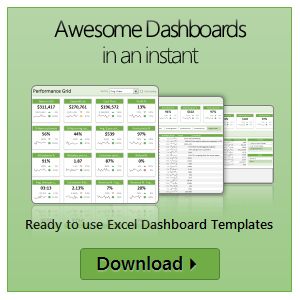 We sold highest number of project management templates & excel formula e-books since launch. We had a stellar launch for wedding planner with 22 customers. Read rest of this post to find statistics about chandoo.org and get 2 charting tips. In the 4th and 5th part of our financial modeling series, we will learn how to model and build cashflow projections for project valuation. We will understand the basics behind cash-flow modeling, what kind of non-cash expenses should be added back to get the free cash-flow. You can also get the blank and completed cash-flow projection worksheets to practice these techniques.